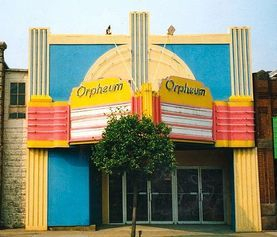 The Orpheum Theater in Clarion, built 1925. 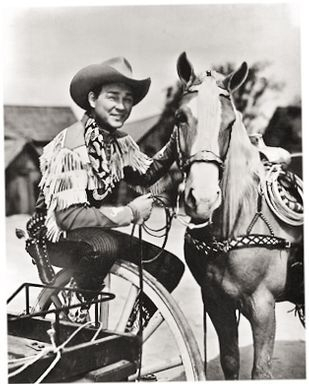 From the Clarion County Historical Society ARCHIVES: Roy Rogers & Trigger, 1941. "The King of The Cowboys", Roy Rogers, and "The Smartest Horse In The Movies", Trigger, appeared at the Orpheum Theater on Main St. in Clarion. By accident, Trigger kicked a hole in the movie screen and it had to be replaced. 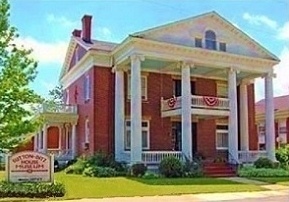 When making personal appearances, Roy always tried to place Trigger and his fancy horse trailer outside of the building or arena where they were appearing before the show. He wanted all the kids to be able to see Trigger, especially the ones that couldn't afford to buy a ticket.